“This is going to be one of the most infamous news disasters since Stern published the ‘Hitler Diaries.’” (WikiLeaks, Twitter, Nov 27, 2018). 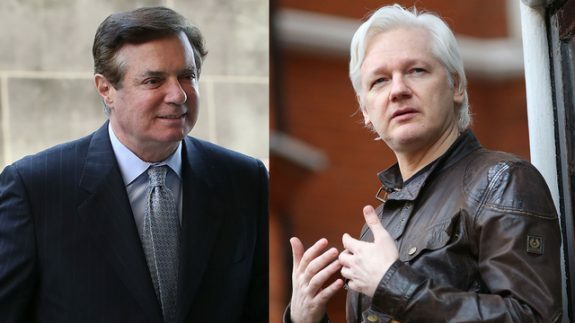 If they could tie the ribbon of Manafort over the Assange package, one linked to the release of hacked Democratic National Committee emails in the summer of 2016, they could strike journalistic gold. At one stroke, they could achieve a trifecta: an exposé on WikiLeaks, Russian involvement, and the tie-in with the Trump campaign. he is bu far the biggest overproof swollen Ego that Australia has ever known and by several orders of magnitude the best shirtfront ability, the fastest ever ride down the polls, the most loathed PM in history, and most notably of all, he has the stench and persistence of runny bovine excrement on a suede boot in a Mid December heat wave. Nope: When it comes to detestability Abbot has all the stops pulled – he is def a world leader in his class. A case of Australia being happy for a whistle blower to be holed up perhaps for ever, for having exposed the misdeeds of Uncle Sam. Training ground perhaps for the wogs holed up on far away islets where they have occasion to document worse misdeeds, perhaps for ever too. No Bill of Rights…meanwhile the UK Right hopes to get rid of the ECJ’s jurisdiction to ensure that its subjects never become citizens. The Guardian has run some sick campaigns this year, against Corbyn in Britain, people opposed to Zionism and war crimes against the Palestinians and of course the long running one involving the smearing and crucifixion of Julian Assange. It is their version of Labor voting for encryption, Judas level stuff, so cold blooded… evil. For those who feel that Julian Assange has suffered from injustice, and neglect from the Australian Government, there is a change.org petition to the Australian Government pleading for assistance for Assange in repelling the American government’s attempts to extradite him for the Wikileaks publication of material ‘sensitive’ to the American war efforts in the Middle East. The petition has been the target of online attacks. The author of the petition has had his Twitter account “shadow blocked’ effectively preventing him from posting or promoting it. My promotion of the Free Julian Assange Petition has been under cyber-attack particularly since Nov. 22, 2018. After the petition peaked at 1672 signatures in one day on the 22 Nov., my promotion of it has been in affect silenced. I have been placed in a position in part like Julian. Gagged off. Much of my promotion is immediately removed, I can see it, but everyone else can not. Giving me the illusion that I am Tweeting but in fact my Tweets are an illusion, that only I can see. How do I know this has been the situation? Because I have sat with others whilst they are on Twitter, I can see their Tweets, they can see their own Tweets as well, but my Tweets are only visible via my screen, they have been absent on all others. I believe this particular type of blocking is called “Shadow Blocking or Ghost Blocking” and to me indicates the level that those that are trying to stop the pathway to Julian Freedom will go to.